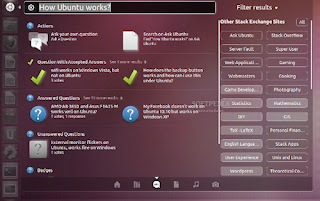 Ubuntu 12.10 (Quantal Quetzal) brought a lot of new features to the users. 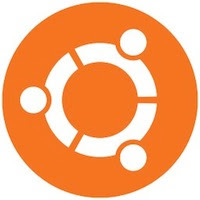 From an improved Unity to the brand new web apps feature that blended the web and the desktop, this release makes Ubuntu a strong contender to the contentious Windows 8. 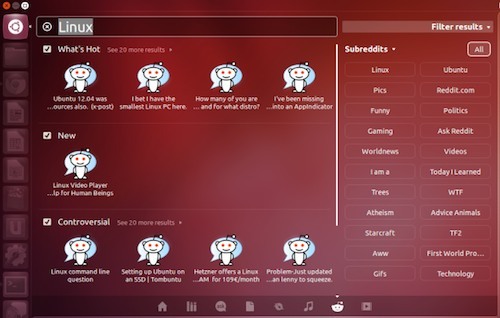 One of the best things about Ubuntu is that it allows users to search the web as well as the desktop right from the dash. You can look up your recently used file the same way you can look up the latest videos from the videos lenses. However, the searching experience is not limited to the pre-installed lenses and scopes. 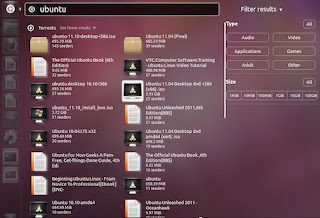 You can, with a couple of clicks, install some great new lenses that will make your Ubuntu the best desktop ever. So, if you’re looking for some great new scopes and lenses to install on your system, here is a list of some of the most useful ones. If you are a frequent user of the Tomboy note-taking application, you can easily install the Tomboy Lens to get some added functionality. 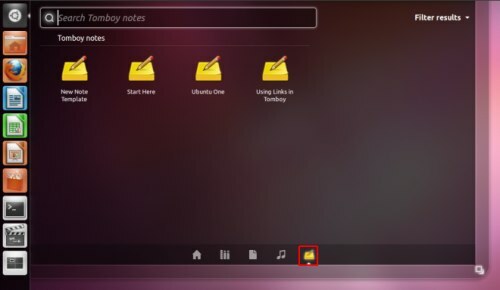 Once installed, you can search your Tomboy notes right from the dash. All you have to do is type the name of the note and the results will show up instantly. Moreover, with every search result you’ll also find an option that will let you create a new note by clicking on it. Worth a try if you’re a Tomboy junkie. AskUbuntu is one of the best places to visit if you come across any issue while installing or using Ubuntu. The community is designed such that you get quick responses to your question making the system of forums slightly obsolete. 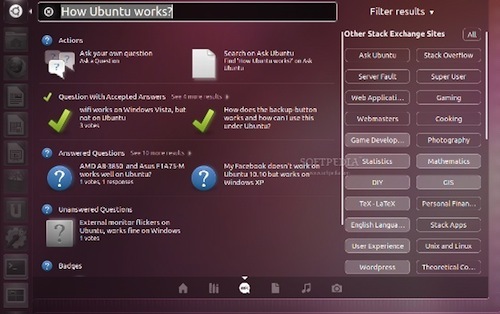 The AskUbuntu lens will let you enter a keyword and then click on the results to visit the answer’s page. If you’re a Pirate Bay junkie then the torrents lens helps you search the site right from your Dash. Once installed, you can filter the search results according to the file type such as audio, video, applications, games etc. If you want to quickly look up the weather in a particular city, you won’t have to use Google anymore. With the Unity Utility Lens, you can quickly find out the weather in any city by simply typing its name. So, for example, you type in "Dayton, Ohio", you’ll see the current weather in that city right on your Dash. If you want to carry out simple calculations without opening the calculator app, then this scope is just for you. 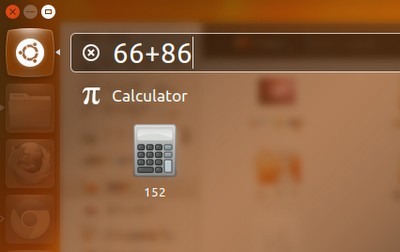 The calculator scope gives you the results of mathematical calculations by simply typing the expression in your Dash. So for example you type in 32+489, the result will show up instantly on your Dashboard. To install the scope, type in or paste the following command in your terminal. 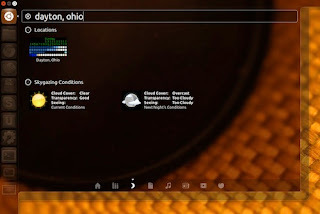 This scope is simple; it lets you look for your Google Contacts by integrating the dash with your Google account. Searching for a particular name will yield the result of the contact along with his or her Google profile photo. Worth a try if you rely a lot on your Google contacts.